A Simple Jew: "A Mesorah And A "Torah Sheb'al Peh" In Breslov"
"A Mesorah And A "Torah Sheb'al Peh" In Breslov"
You asked about the Meron machlokes and the difference between the two main lines of the mesorah. As for the Meron issue: you really have to understand the centrality of what Breslovers call "the Rebbe's Rosh Hashanah" to appreciate why Reb Avraham Sternhartz stirred up such a hornets' nest with his shittah about going to Meron. The basic Breslover belief is that the Rebbe's Rosh Hashanah in Uman is a special tikkun (fixing or repair) for the souls of all who participate -- and that it has a cosmic "ripple effect," as well. Whatever the Rebbe does on Rosh Hashanah heals the spiritual damage of all Klal Yisrael and all of humanity. This is why Breslover Chassidim had such mesiras nefesh in traveling to Uman for Rosh Hashanah throughout the generations, under all sorts of conditions. So when Reb Avraham Sternhartz, arguably the greatest figure in Breslov of his generation, announced that going to Reb Shimon Bar Yochai's kever in Meron has the same benefits as going to Uman when it is not possible to do so -- and that those in Eretz Yisrael should have just as much mesiras nefesh about going to Meron for Rosh Hashanah -- this was regarded as an extremely radical idea. Again, to a non-Breslover it may sound like a minor thing; but to a community in which the Rosh Hashanah kibbutz looms so large, it is major. Thus, even certain people who knew that they were no match for Reb Avraham in expertise in the Rebbe's seforim or in shimush chakhomim or in Torah in general felt compelled to protest. Reb Avraham answered some of these questions, and years later, Reb Shmuel Moshe Kramer presented the "Meroner" ideology in his kuntres "Chadi Rabi Shimon." Nevertheless, during those years, Rav Elazar Kenig often repeated that we go to Meron because of our emunas chakhomim in Reb Avraham, not because we truly understand the mechanics of how this tikkun works. Later it became known that earlier generations of Breslover Chassidim in Eretz Yisroel had gone to Meron for Rosh Hashanah, too, which added something to Reb Avraham's position. Since the revival of the Uman gathering, beginning in the late 1980s, this controversy has pretty much become dormant. As for the mesorah -- this is a harder question to answer. Both main lines of the mesorah probably agree about most things anyway. My main intention was to point out that we need to have a mesorah, whichever way one connects to it. There are two aspects to the mesorah, one that is specific and practical, one that is more general and intangible. For example, the Rebbe says many things in Likkutei Moharan that we don't quite know what to do with today. Going to Uman for Rosh Hashanah is a case in point -- the mesorah tells us that the same tikkun applies after the Rebbe's histalkus (passing) as when he was living in the world. Or a person may not know what the avodah of Erev Rosh Hashanah is all about, since this is not spelled out in the primary seforim; or how to approach certain undefined issues, such as the balance between hischazkus (encouraging oneself) and hisorerus (pushing oneself to reach higher levels) (Likkutei Moharan II, 7). All of these things lead us to seek the guidance of those who know how Breslover Chassidim of the past addressed such matters. Then there is the intangible, unspecfic aspect of the mesorah -- the spiritual connection we forge with previous generations of Breslover Chassidim, all the way back to Reb Noson and the Rebbe himself. Like everything else in Judaism, there is a mesorah and a "Torah sheb'al peh" in Breslov, and we need to seek out those who can pass it on to us. "Concerning this, Reb Noson once remarked, "Fortunate are the eyes that saw our master, Rebbe Nachman -- and fortunate are the eyes that saw those eyes!" To this Rabbi Avraham b'Reb Nachman (author of Biur HaLikkutim) added, "And fortunate are the eyes that saw the eyes…that saw the holy Rebbe!" (Siach Sarfei Kodesh I, 720)"
But since we are concerned with Torah she ba'al peh, why doesn't it say: Fortunate are the ears that heard the holy Rebbe. And fortunate are the ears that heard from the (mouths of the) ears that heard from the holy Rebbe! "A picture speaks a thousand words!" Later it became known that earlier generations of Breslover Chassidim in E"Y had gone to Meron for R"H, too, which added something to Reb Avraham's position. Why wasn't it widely known before? It seems there was some other issue involved here too. I.e. the transmittion of Lublin kibutz to Yerusholaim. And when Reb Avrohom strongly came out with alternative, it caused animosity from those who wanted to be considered "The Kibutz" while Uman was unavailable. For those who are interested you can see Reb Avrohom's kuntreys "Amoroys Tehoyroys" about importance of kibutz in Meron in case when one can't get to Uman. Or you can see it here. thanks for the statements about "the eyes"...some breslover chassidim came to los angeles this year and i still remember how it felt to look in their eyes. eyes of true kedusha and dvekut. - What was the nature of the disagreement regarding Meron? Considering that they could not get to Uman anyway at that point, what was the objection to holding a kibuts in Meron (rather than not having one at all)? - Would you be able to provide any specific examples of different approaches to Breslov teachings between the two mesorot (other than possibly the Meron issue)? In other words, on what do they differ? Since some issues weren't yet discussed, I wanted to add some points. 1. The issue with Meron wasn't to have a kibutz in Meron, or not to have one at all. The issue was to have it in Meron or to have it in Yerusholaim. It seems there were more to those who wanted to do it in Yersusholaim davka. Even today there is group (R. Visenfeld for example) that stays in Yerusholaim and doesn't go to Uman, providing some "substantial" (according to them) explanations. If they have an idea not to go to Uman already, why would they go to Meron? 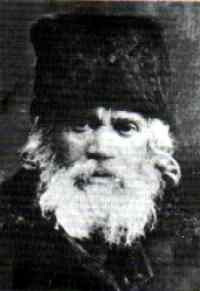 They claim Reb Levi Yitzchok Bender said "Der Rebe is do" (the Rebbe is here) meaning kibutz in Yerusholaim. So it is not just a scepsis concerning the validity of mesoyro about Meron, rather it is even stronger point about making Yerusholiam as a place for kibbutz. It goes that far, that they even want to transfer the Rebbe's keyver there. All this they claim to be in accordance with Reb Levi Yitzchok's views. How valid is that, I can't say. 2. Concerning examples in difference in approach. I personally fell that the mesoyro of the Tcheriner Rov stressed more the inner connection between the Rebbe and Baal Shem Tov and his talmidim. I.e. the connection in Toyro and mesoyro, and inner oneness of Chasidus. Thus it wasn't accidentally that Tcheriner Rov compiled his "Derech Chasidim" and "Leshoyn Chasidim" from teachings Baal Shem Tov's and Maggid's talmidim. This attracted me personally to this branch of Breslov more than to others. Reb Michl Dorfman once said, that Breslover bochurim in Ukraine had a regular sdorim to learn Baal Shem Tov's and Maggid's talmidim, which is not that stressed in other branches of Breslov. Also I have a feeling (may be subjective) that at least today, the historical development led to the fact, that the mesoyro of Tcheriner Rov tends more towards Rusisher Breslov, and the mesoyro of R' Avrohom bReb Nachman leans towards Polisher Breslov with their inherited nuances. Just to clarify this point, I mean I don't know if it really is in accordance with Reb Levi Yitzchok's views, but from what I know to be a Breslover mesoyro this issue itself is definitely invalid. There was a long break between the days of Reb Noson's talmidim and talmidei talmideihem in E"Y and Reb Avraham's establishment of the R"H gathering in Meron -- at least 40-50 years. Then Reb Itche Meyer Korman, who I believe was a Polish Breslover in Eretz Yisrael and a fierce anti-Meroner, bequethed some rare letters and ksavim to Reb Noson Zvi Kenig -- who discovered a letter that mentioned how the Breslovers in E"Y during the 1890s used to go to Meron for R"H.
However, I am writing this all from memory. I suggest that you check these details with Rabbi Dovid Shapiro in Yerushalayim. Then Reb Itche Meyer Korman, who I believe was a Polish Breslover in Eretz Yisrael and a fierce anti-Meroner, bequethed some rare letters and ksavim to Reb Noson Zvi Kenig -- who discovered a letter that mentioned how the Breslovers in E"Y during the 1890s used to go to Meron for R"H.
This is strongly surprising, if Reb Itche Meyer Korman knew about the content of these letters, and still was as you call a fierce anti-Meroner. This can support the point, that the main base in anti-Meron approach wasn't the negation of such mesoyro, but rather the aim to make Yerusholaim the central kibutz. It seems that Reb Itche Meyer Korman did NOT know the contents of everything he had collected, and Reb Noson Zvi discovered it. Again, please check with Reb Dovid Shapiro. Also, I think you are incorrect in associating Reb Avraham b'Reb Nachman with the Poilisher Breslovers. I don't mean personally him in his time. I mean the development of mesoyro branches into our times. Fiery, up to extreme, attributes of Polisher Breslov can be found today in those groups who stress the connection with Reb Avraham b'Reb Nachman. I'll ask Reb Dovid Shapiro if can clarify some point on these issue. BTW I heard that Reb Ephraim Kenig has been learning Leshon Chassidim and Derekh Chassidim with a chaburah of Breslovers in Tzefas and that they just made a sium -- and (I think) started their weekly seder all over again. I'm happy to hear this. Alevai all Breslovers will do it too.